Ready to grow your brand learn how to record a podcast as a beginner? Surprisingly, recording a podcast is easier than you think. My biggest suggestion is to keep it simple. With just a few free or low-cost accessories, you can get started. And honestly, it’s never been a better time to start a podcast. People are consuming content through podcast like never before. Get started in 2019 so you can take advantage of this awesome platform, interview cool guests, and create epic content. Here’s everything you need to know to start your very first podcast the easy way. FAQs About Recording a Podcast? What software do I need to record a podcast? How do you start your own podcast? Like I said, keep it easy and don’t overcomplicate it. Recording your first episode should be fun and not some overly difficult process. You don’t need hundreds or thousands of dollars of equipment to get started. With a few small investments and free software, you can crush your first episode. 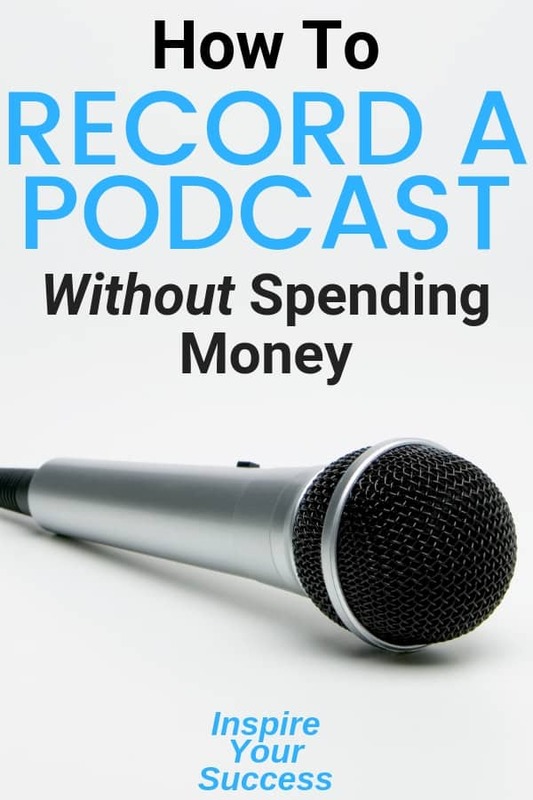 The costs to recording a podcast are very low compared to most other businesses. But one thing you can’t go cheap on is a microphone. In my opinion, you can’t record a podcast without an upgraded microphone. Personally, I think you should start off with a basic microphone and work your way up. The microphone I start recommending is the Audio Technica ATR2100. For around $70 it’s worked amazing and I’ve been told by my audience how much they love the sound quality. built-in headphone jack that allows you to directly monitor your microphone output without audible delay. This is a huge benefit! If you’re keeping costs extremely low, you have some other options with your microphone. Built-in Microphone: Built-in mics were not designed for recording professional audio. I would consider them a temporary solution to record your first couple of episodes before you move on to something better. USB Microphone: USB mics, like the Audio Technica ATR2100, are easy to start using even as a beginner. They connect directly to your computer by simply plugging into your USB jack. Dynamic Microphone: Dynamic mics are designed to focus more on your voice. If you have multiple presenters then a few of these hooked up to a mixer will be the perfect solution. Remember that if you’re interviewing guests they might not always have an upgraded mic either. This will require more work in the editing phase but it’s important to not sacrifice sound for your show. Think of your sound like proofreading on a blog. Now that you have your microphone situation setup, it’s time to get the right software to record your first podcast. For the most part, this is free and easy to use and just differs on if you’re using a Mac or Windows. Audacity is free and easy to use to record a podcast on Windows. It is is the most used ameatur recording software for Windows, Mac, and Linux systems. Check out this video to learn how to Audacity with this helpful Youtube video. GarageBand is another popular podcast recording software that is used by musicians and podcasters alike. I use Garageband to record and edit all of my solo episodes on my podcast. It’s so easy to use and great for editing even if you’re a newbie podcaster. Unless you’re an advanced podcaster or someone who is also working with music as well, Adobe Audition is a great paid software. It has a ton of cool features and is a subscription based service. Don’t go here unless you’re ready for a very advanced recording software. Besides from these well-known recording and editing software, there are lesser known ones like Hindenburg and Pro Tools as well. Both of them are on the professional side of things, but worth checking out. Now that your equipment is ready, it’s time to get into the studio and start recording your podcast. First off, your home studio or office setups don’t need to be some huge amount of work. Like the entire process, less is more. Keep it simple! You want to control your environment with as few of distractions as possible. One thing I recommend is a foam windscreen. This will catch your B’s and D’s. For only $7 this is a great deal and helps the entire recording process. Now it’s time to hit record, you can choose to do a solo podcast, interview podcast or a combination of both. If you’re doing it solo I recommend having an outline and general talking points. If you want to fully prepare you can write an entire script or choose to go off the cuff. Personally, I just have a general outline and speak from the heart as I’m talking about things I love. The other way that’s popular to record a podcast is to do it with a guest interview. This is fun as you can have a conversation with someone who you admire or can bring value to your show. When your interview calls starts, make sure to do a quick sound check to make sure your guest’s sound levels are appropriate. When it comes to guest interviews I only use Zoom. It’s free, easy-to-use and super convenient. I’ve used Zoom to interview successful entrepreneurs halfway around the world and had no problems at all. Editing is also very easy with Zoom. The final recording file will have the two audio files, video, and a complete file. This is the biggest reason I don’t use Skype as the connection isn’t as good and much harder to edit. And once you’re using Zoom, don’t forget to hit RECORD! Once you’re finally finished, click the stop button to end your current audio track. When you’re happy with your recording, package up your podcast by exporting it. For most software, this starts by going to File > Export Audio. Add your podcast episode name and choose your file type. Irecommend either M4A (AAC) or MP3 files. They are industry standard and the most popular on podcast hosting platforms like iTunes. If you have multiple audio tracks (from stopping and starting), then you will be asked to mix them down into a single mono channel. Confirm to continue. Next, enter your shows information (known as metadata) like artist, title, and year, then continue. Download the file and confirm to export your show. It should be available to listen to in your downloaded area. For solo episodes, I do barely any editing. For guest podcasts, I tend to edit or pay an audio engineer to do the editing for me. They help with all kinds of stuff including cutting out a misspoken word, trimming dead air, or reducing distant noises. One of the most common problems podcasters have are huge gaps of silence. Try to trim out dead air and edit anything your guest doesn’t want included in the podcast. Once you’re fully edited it’s time to upload it to iTunes through your podcast hosting platform. I use Libsyn which is a cheap and easy to use podcast hosting platform. From there, it is syndicated other platforms like Google Music, Spotify and more. Got more questions about how to record a podcast? No problem, here are some of the most common ones. Free software is more than enough to create an awesome podcast episode. I recommend Audacity for Windows or Mac and Garageband for Mac. Buy a microphone, get the right software, and hit the record button. Remember, it doesn’t need to be hard to record. More work goes into promoting and getting people to listen to your show than anything else. Not much! The biggest expense is the microphone and hosting. You can easily get started for under $100 and create an epic show that changes lives. 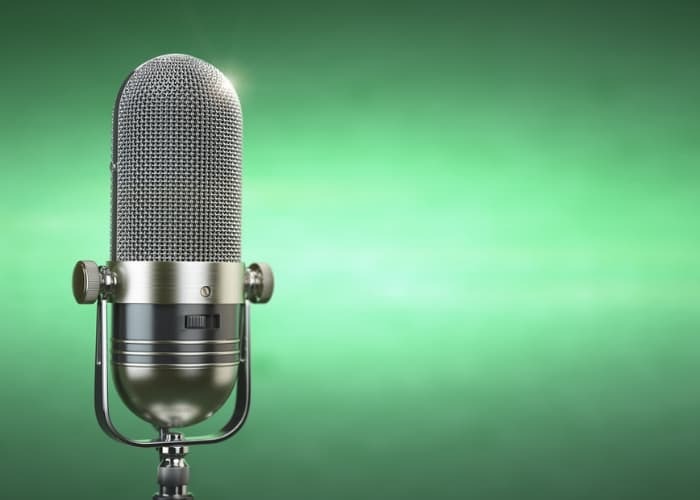 Podcasting is a really fantastic medium, and a great way to share your message with the world. There are tools that make podcasting easier and more accessible for anyone to get started. Hopefully, this guide will help you get started and crush it as a podcaster. I’m confident if you follow these steps you can create a show that can impact the world. Get started, it’s never been a better time to launch your podcast.